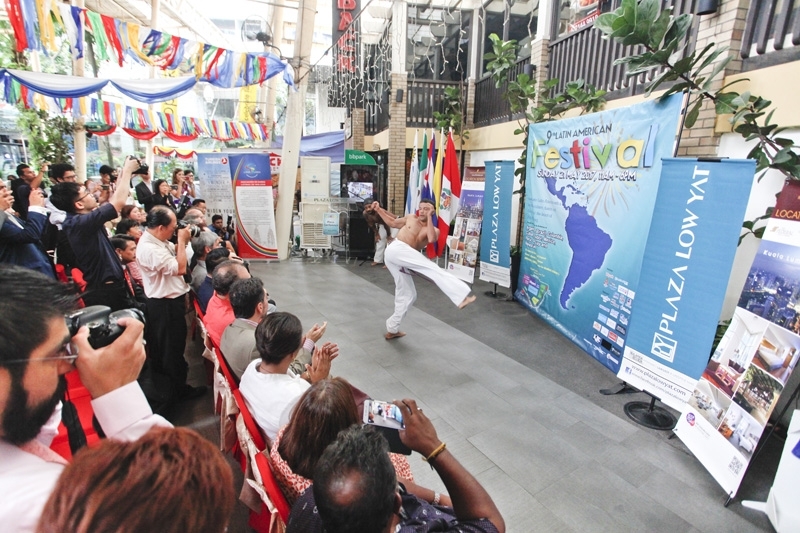 Get up close and personal with the people and culture of this intriguing region Nine nations bid a warm hola to Kuala Lumpur as the 9th Latin American Festival takes over the city this 21 May! Widely regarded as the foremost celebration of the wondrous region in Malaysia, the festival will be held at the historic bbpark, a location that has hosted the event for all but one of its years. A Kuala Lumpur tradition in the making, the annual festival has drawn the fascination of locals, whose annual patronage number in the thousands as many are keen to learn about these distant lands. It has also become the focal point for Latin American expat community to get together, celebrate and share their culture with Malaysians. The nine are the embassies of Argentina, Brazil, Colombia, Cuba, Ecuador, Mexico, Peru, Uruguay and Venezuela. Each one would create an elaborate showcase of the food, handicrafts, culture and the ways of that expanse of land south of the United States of America. The theme for the festival this year is ‘Rhythms and music of Latin America’, so prepare for an auditory feast as the region’s staple music, such as salsa, mambo, merengue, bachata, tango, cumbia, joropo, samba, san juanito and candombe fill the air! A carnival like atmosphere will be the order of the day as cultural performances and dances of Latin American traditional and contemporary music take over bbpark. Performers will be decked out in their country’s finest costumes, making for a vibrant spectacle to go along with the toe-tapping musical shows. The younger ones in the crowd are catered to as well with engaging games such as the Drum Machine and Arcade Dance Machine. “It will be a magical display of vibrant colours and pulsating vibes of Latin American music, dances, brilliant costumes as well as arts and crafts from the continent,” said Ooi Lee Ping, Director of Group Marketing, Regional Sales & Business Development and Operations of FHI. “Don’t forget about the food as well, as this is a great opportunity for Malaysians to experience the authentic taste of Latin American cuisine.” Adding to the fun is a lucky draw with an attractive list of prizes from sponsors. Raffle tickets are priced at RM20 each, with proceeds going to the underprivileged children of Pusat Jagaan Kanak-Kanak Kurang Upaya KIRTARSH. It is definitely worth trying your luck, as the first prize are two round trip tickets to Havana, Cuba courtesy of Turkish Airlines! Other interesting prizes include cameras, mobile phones and hotel vouchers.